Pistol Mount Led Flashlight Kit With Quick Release. These Are Two Separate Detachable Units That Can Be Mounted In Just A Few Seconds. They Fit Most Weaver Style Rails. They're Built Like A Rock! 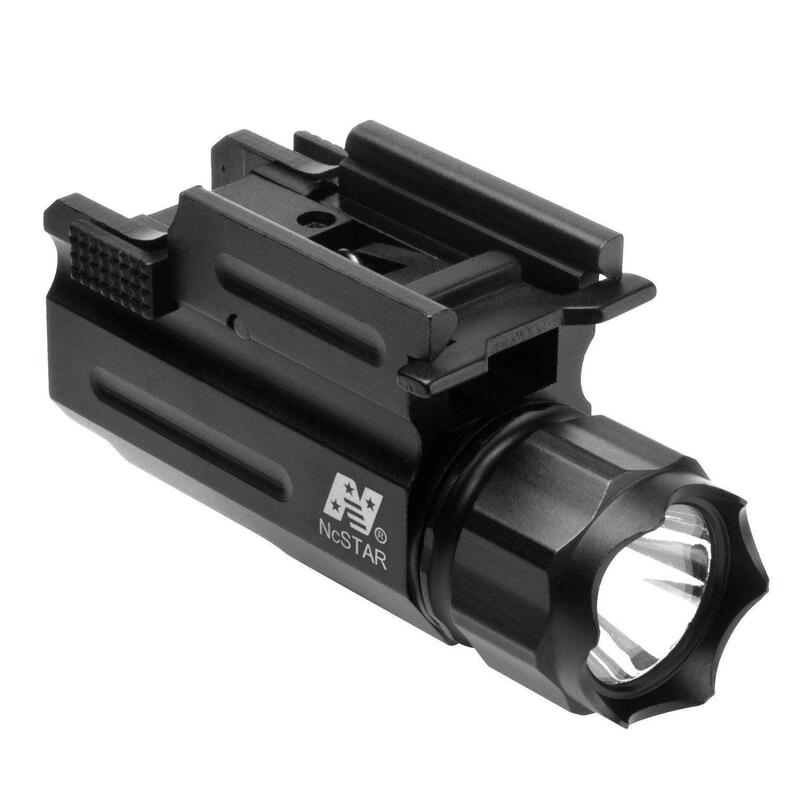 The Flashlight Is Compact And Bright, Putting Out 35 Lumens At 1 Watt, Requiring Very Little Battery Power. Solid Aluminum Construction Makes This A Durable Pistol Light.